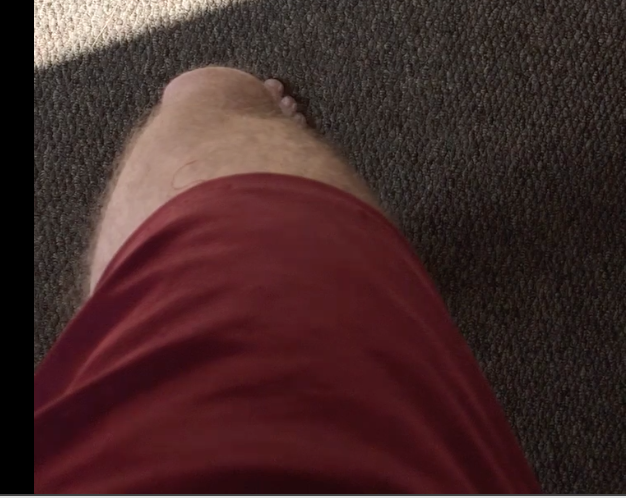 Right knee turning/tracking inwards for over a year: Any specific stretches and exercises? Are there any specific stretches and exercises you can provide me with? 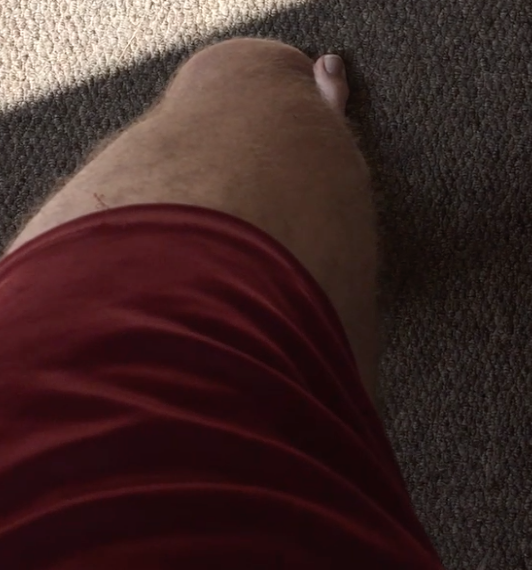 Sorry for the long message and photos below but I want to be as detailed as possible: My right knee points slightly inwards at rest and then tracks inwards when bending (you can't see my big toe when it's bent), whereas my left is completely fine (you can clearly see my big toe). This has been happening for over a year now and I've seen a physiotherapist many times and a podiatrist. I have carried out many strengthening exercises for my hips, quads and glutes as per their instructions (i.e. lunges, step-ups, single leg squats, clamshells, bridges, monster walks etc.). I have performed many, many more exercises for long periods of time. I've also carried out stretches that target my right piriformis. Even when walking the knee won't bend straight, and it makes clicking/cracking sounds when I force it to come down straight whilst doing squats/lunges etc. There isn't necessarily any pain but it does feel unstable and it both looks and feels as if my right foot and knee are out of alignment. Even when I'm standing the knee cap turns in a little. It's much worse when I try to run - the knee does not align with the right foot and caves inwards. When running and single leg squatting it falls/twists inwards and feels very unstable - I still can't run because of this instability. I have not experienced any recent severe problems with my lower back or sciatica, but I did have a problem with my right achilles 2 years ago. Please does anyone have any specific stretches and exercises they can provide me with? I just want to be able to run again (even if its just 5km!). I meditate a lot and I always used to sit with my left leg out in front. When I experimented with my right leg out in front, I noticed a huge imbalance in flexibility between the legs, which you can clearly see. I don't think sitting in this way during meditation was the cause because I noticed the problem with my right leg before. Nonetheless, I now always sit with my right leg out in front. See if you can find a physio who is FMS or SFMS (functional movement screen) certified. In theory even if you have done the right stretch and strength work, if you have not corrected your movement pattern via your CNS your body may not let you do the movement, i.e it may not feel stable tracking straight forwards. Although judging by your photo it looks like one of your external hip rotators is 'tight', which doesn't necessarily mean just stretching. Could require, 'release', stretch, and then motor control or strengthen. this probably isn't the answer.you wanted, but there is no miracle exerxise, these things are person specific. So do you get pain when you run? Thanks for the response @Toast67 ! No pain because I don't want to run for too long as the right need is so unstable and collapses inwards when I attempt to run. Have you tried orthopaedic insoles to help stop your arches from collapsing? The podiatrist said they were not needed. My arches do not collapse inwards.